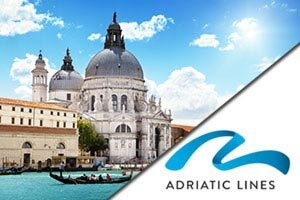 Known as “the pearl of the Adriatic,” Dubrovnik is surely one of the most famous and beautiful towns in the world. It is a medieval town, founded in the 17th century and has many treasures. The entire coastal belt called Dubrovnik Rivera, from southern Cavtat to Peljesac peninsula is full of secluded beaches, small bays and tiny villages. Dubrovnik is a MUST SEE destination. Upon your arrival you will be met and transferred to your hotel. The rest of the day is free for you to get to know Dubrovnik. There is a walking tour of “Old Dubrovnik” this morning. We will visit the Franciscan Monastery, housing one of the world’s oldest pharmacies, the old harbor, St. Laurence Fortress, the Sponza and Rector’s Palaces and other points of interest. The rest of the day is at leisure.